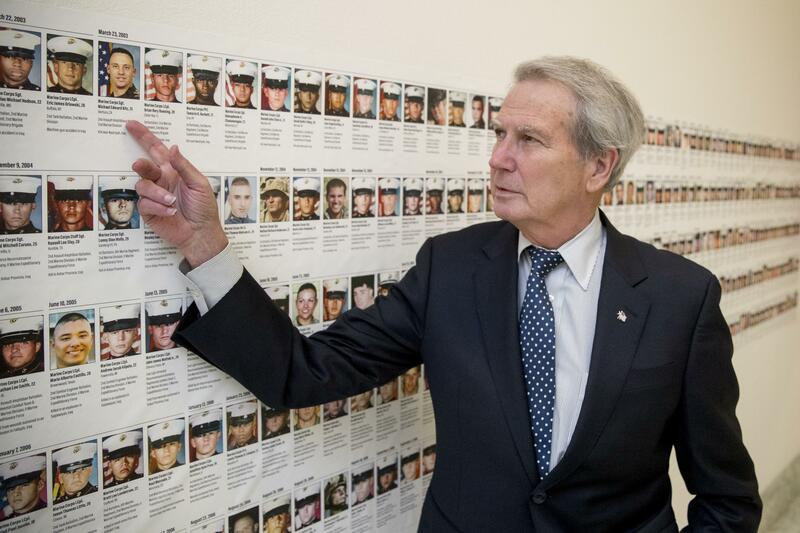 Sun., Oct. 29, 2017, 7:38 p.m.
RALEIGH, N.C. – On a Sunday morning more than two weeks after four U.S. soldiers were ambushed and killed in Niger, Rep. Walter Jones sat at the desk in his North Carolina office, doing what he’s done more than 11,000 times in 14 years: signing letters to families of the dead troops. Days earlier, Trump became embroiled in a public dispute with Rep. Frederica Wilson, who had been in the car with Johnson’s widow when Trump called to offer condolences. Wilson called Trump’s comments insensitive and hurtful – assertions seconded by the widow, Myeshia Johnson, and her mother-in-law. Trump blasted back on Twitter. Jones, 74, was first elected to the House in 1994. He estimates that 70,000 or so veterans lived in his district in 2002. Most, Jones said, believed that Iraq had weapons of mass destruction, as President George W. Bush and his administration told the public – a belief that turned out to be unfounded. Published: Oct. 29, 2017, 7:38 p.m.